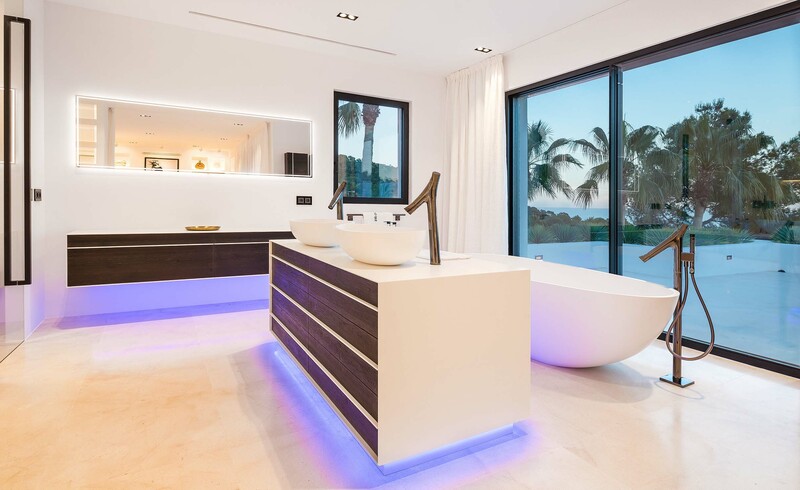 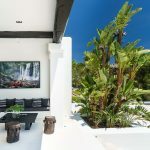 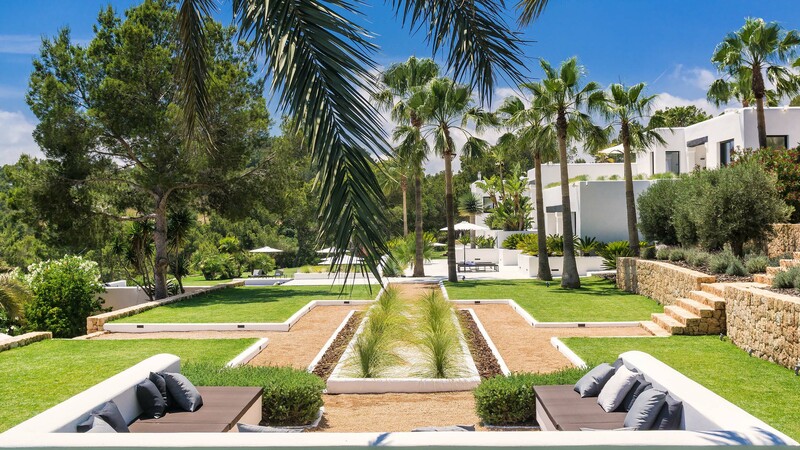 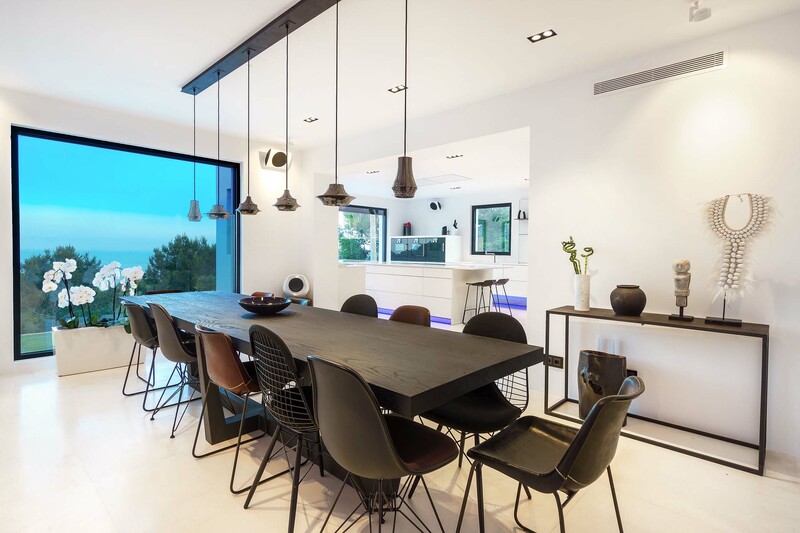 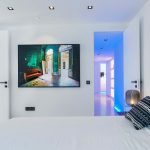 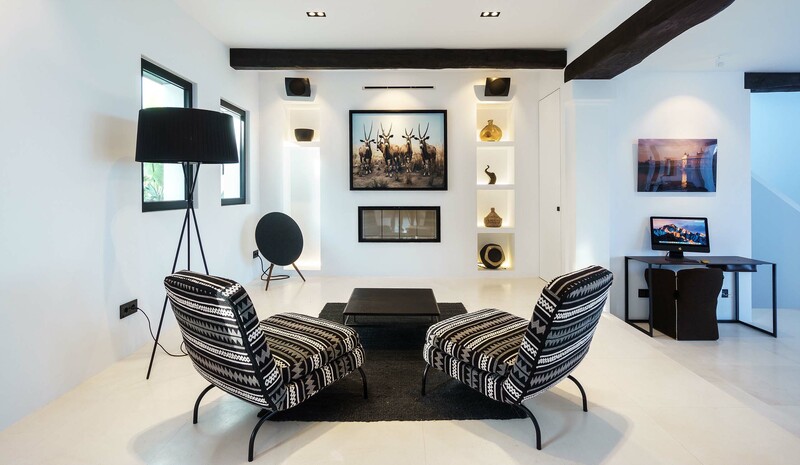 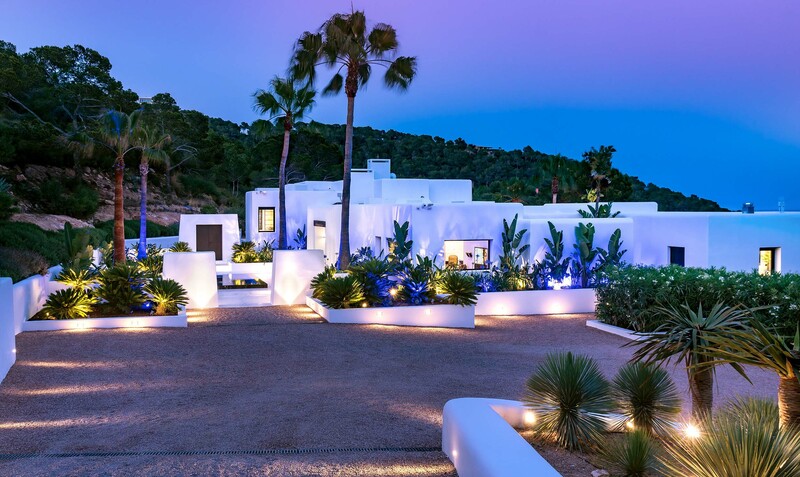 Be enticed by the beauty of Villa Clara, an exquisite luxury villa in Ibiza. 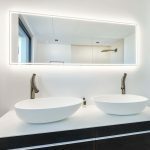 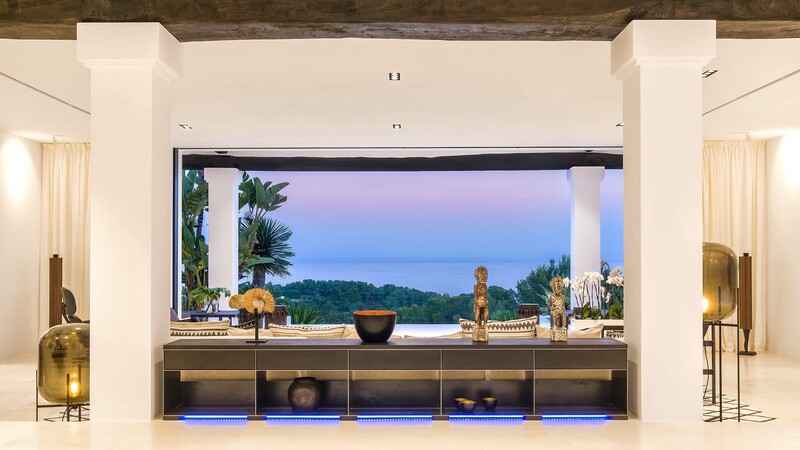 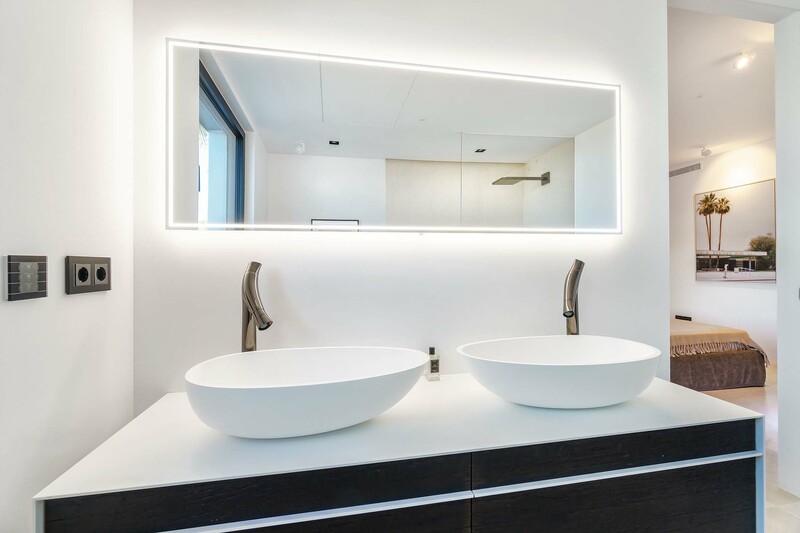 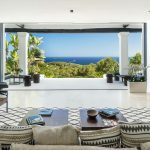 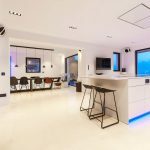 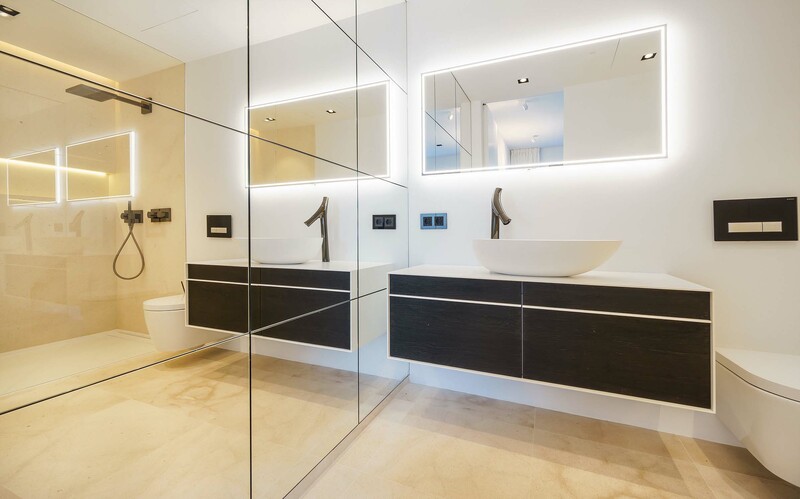 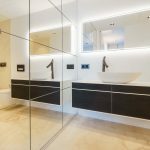 This striking property is elegant and stylish, boasting beautiful sea views and luxurious amenities. 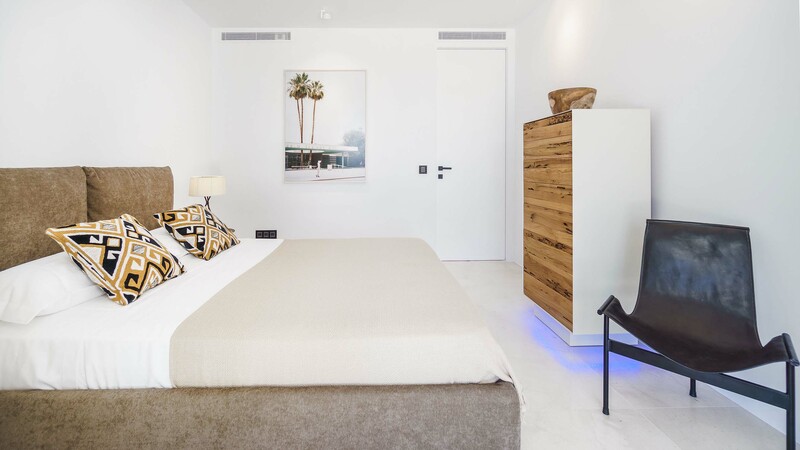 With a total of six bedrooms, it can sleep up to twelve guests. 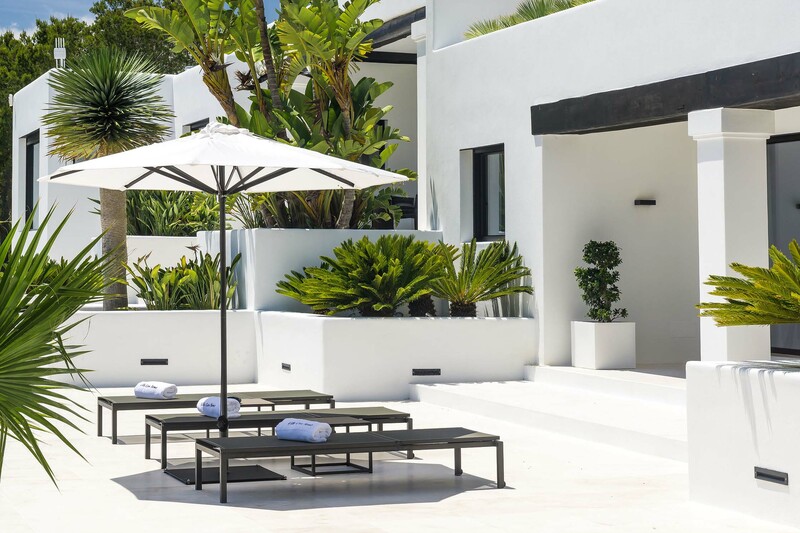 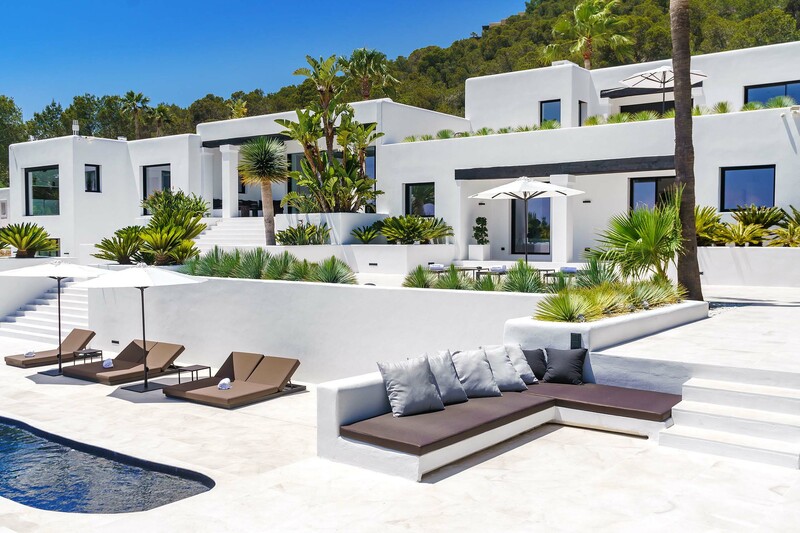 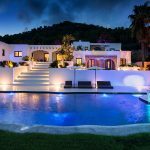 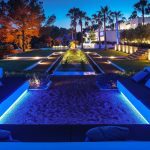 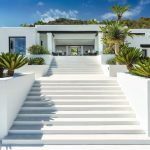 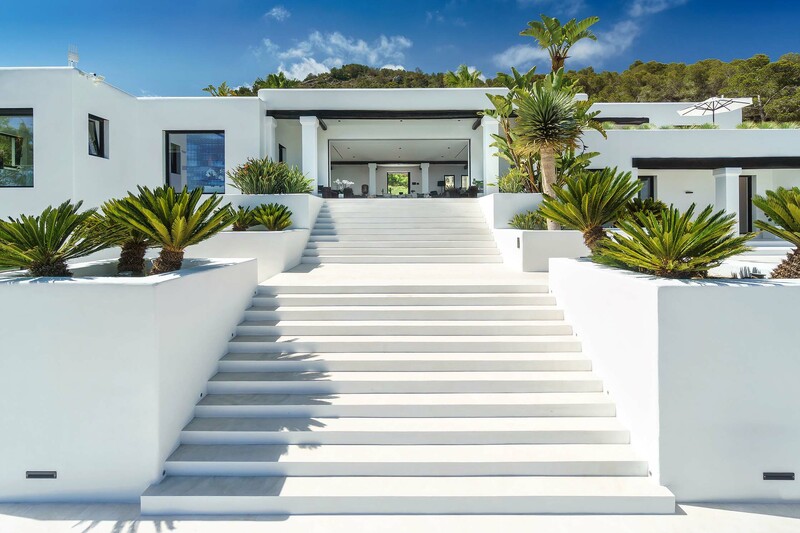 Villa Clara is enviably located in one of Ibiza’s most sought-after areas and is sure to immediately impress with its striking exterior. 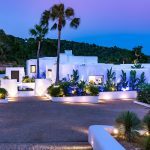 Its stonewashed white facade contrasts beautifully with the surrounding scenery, while elements of traditional architecture add to the charm. 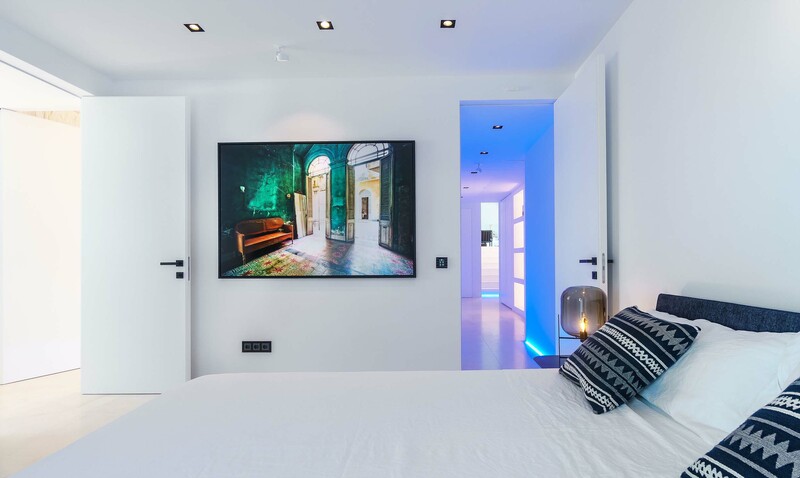 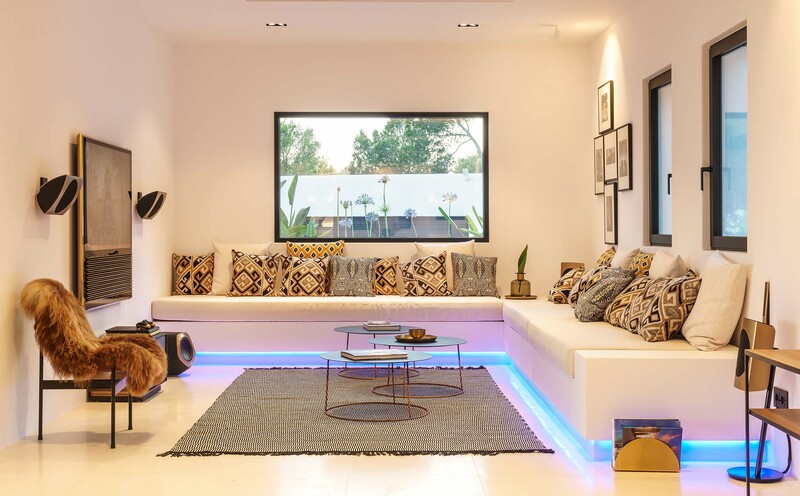 Stepping inside, Villa Clara is a chic and contemporary haven, with clean lines and stylish decor. 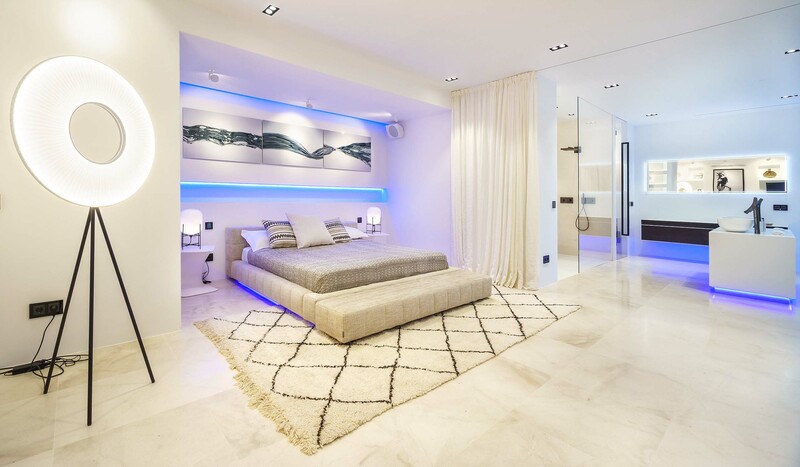 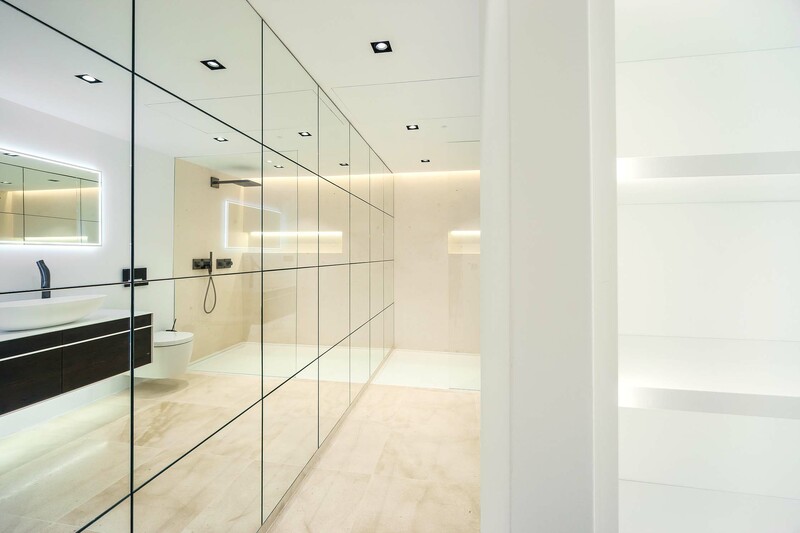 The white theme continues inside, creating an environment that is light and airy, while luxurious linens add warmth to the home. 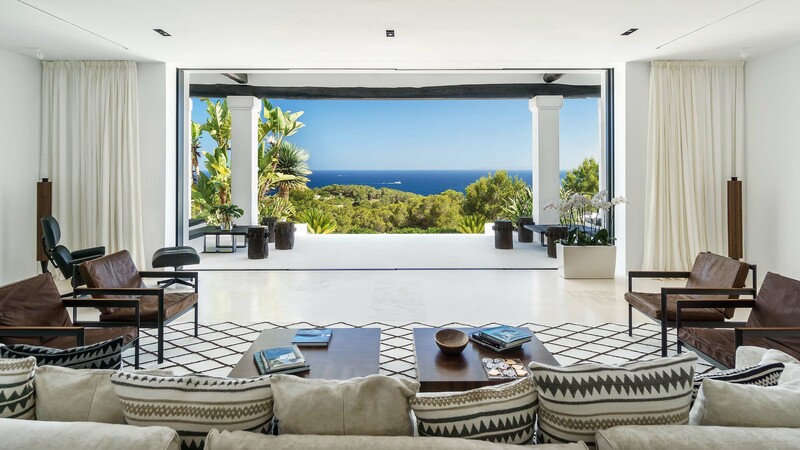 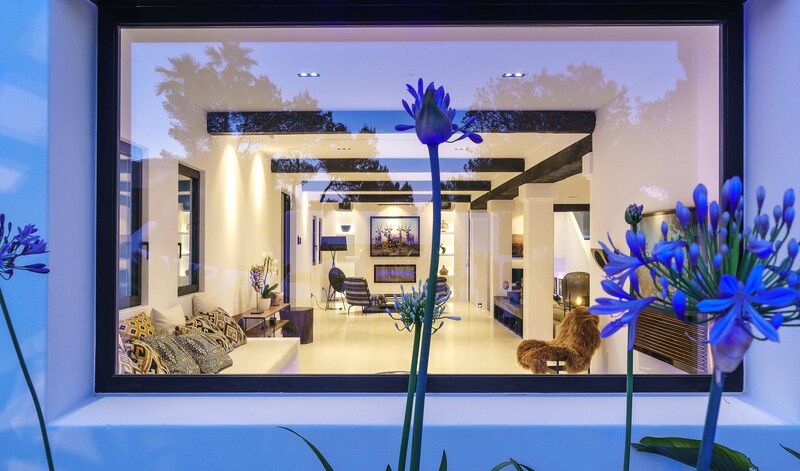 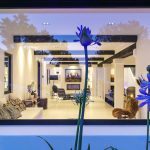 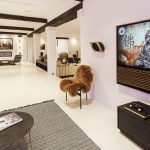 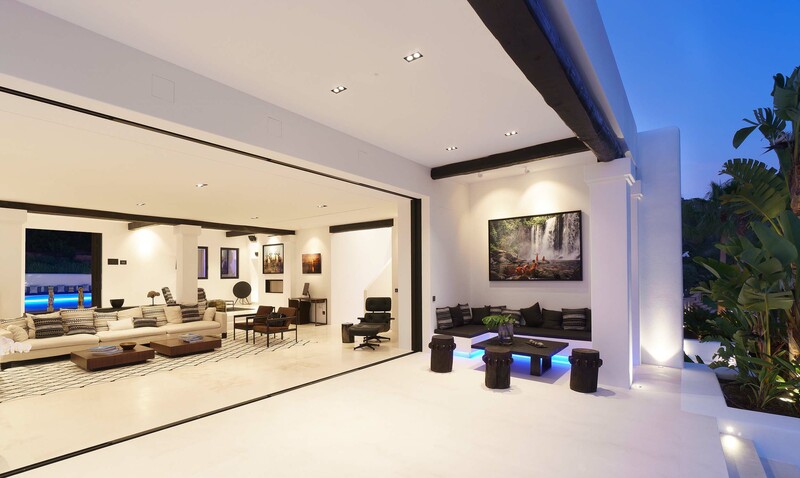 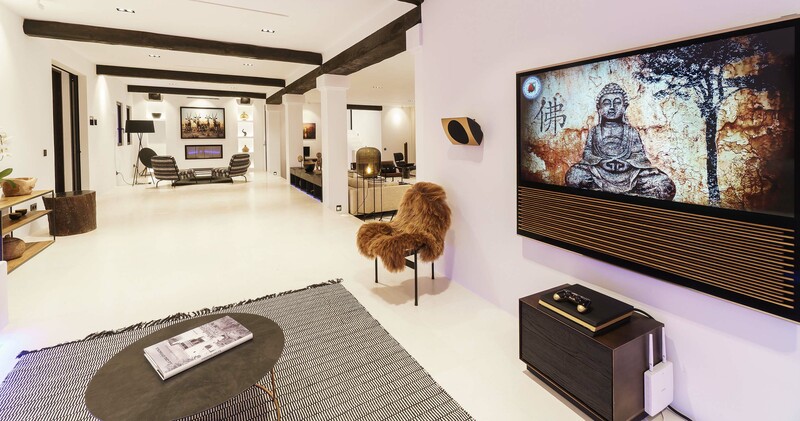 Hand-selected, unique artworks add to the overall charisma and appeal of this stunning property. 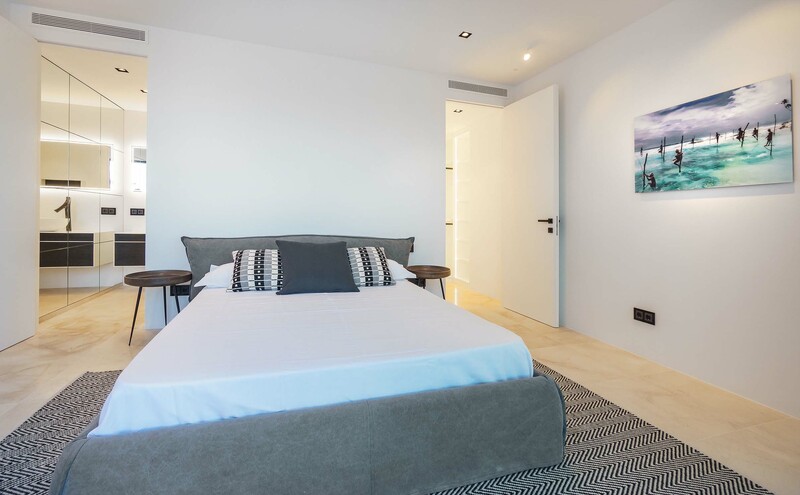 Plentiful shared spaces provide room for you to spend time with your friends and family, entertain, or simply relax. 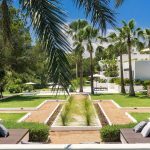 There are numerous comfortable lounges and formal living spaces, as well as a formal dining room which enjoys spectacular sea views. 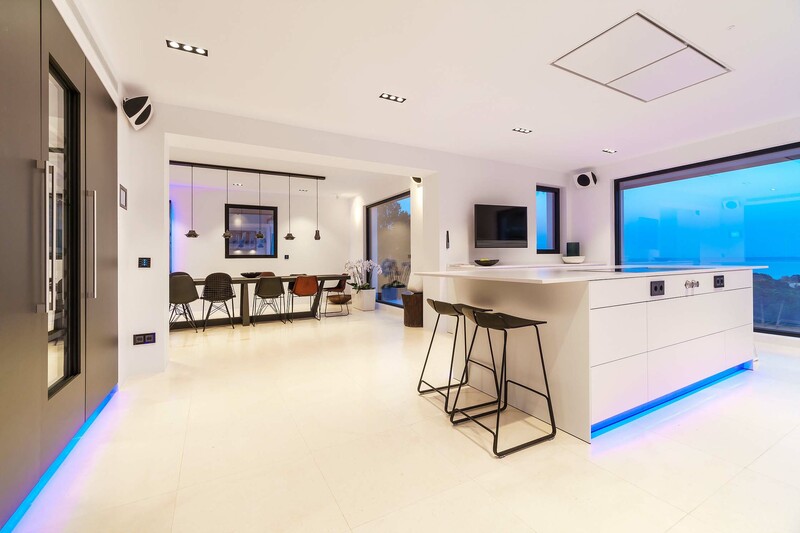 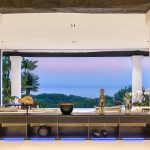 A fully equipped kitchen is also available, with luxurious extras like a teppanyaki grill and all Gaggenau appliances. 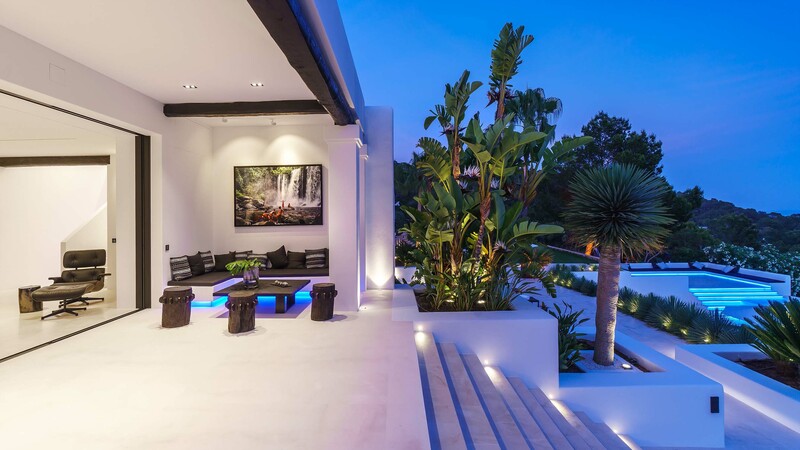 Take just a few steps and find yourself in the spectacular outdoor space. 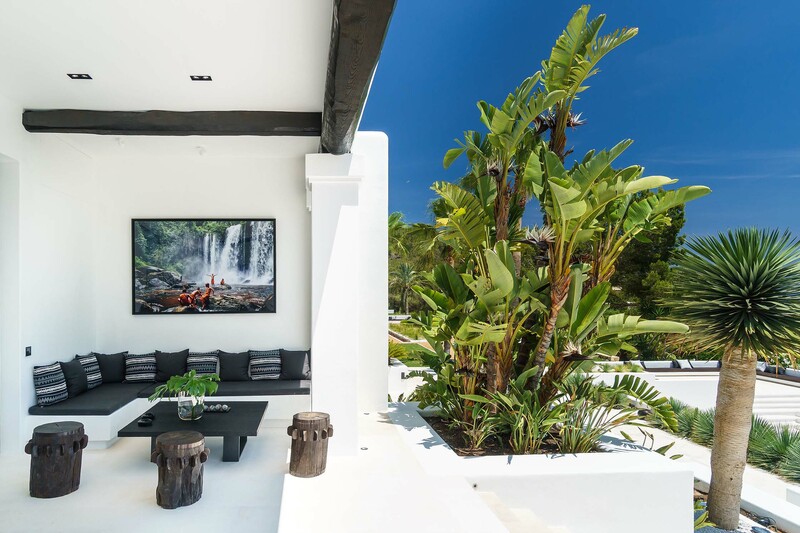 Enjoying an expansive property surrounded by tall trees, Villa Clara enjoys privacy and comfort. 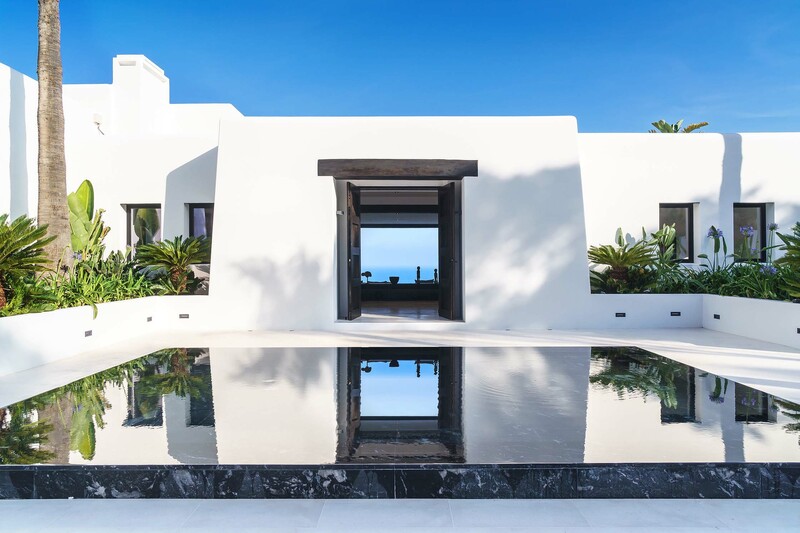 The villa is an entertainer’s dream, with numerous alfresco dining spaces and a barbecue, all of which takes in the sumptuous sea views. 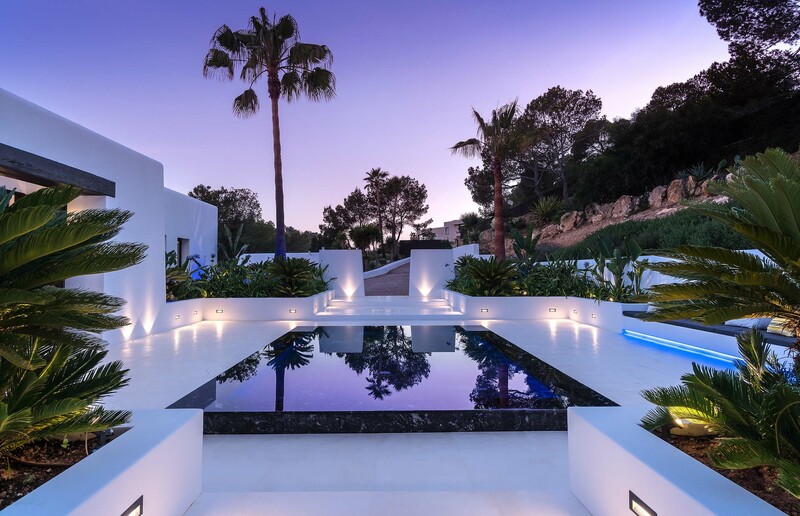 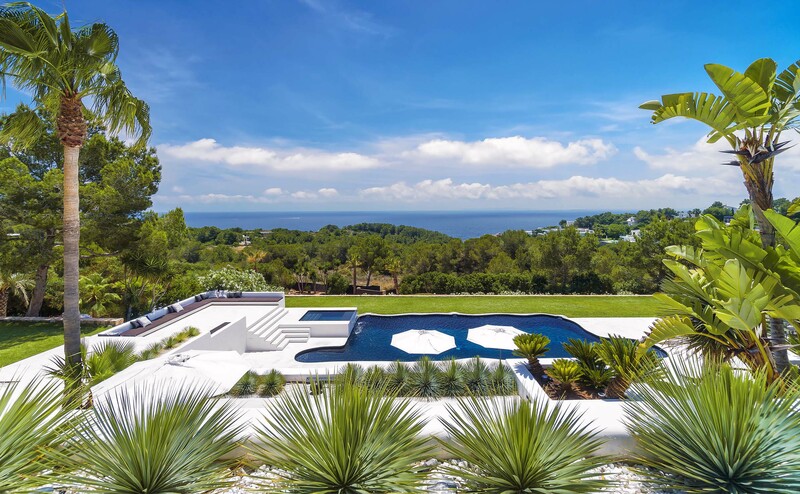 A dazzling swimming pool invites you to cool off from the Ibiza sun. 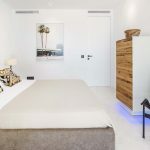 At night, retreat back to one of the property’s stunning bedrooms; each are spacious and elegantly appointed, with ample storage space for personal belongings. 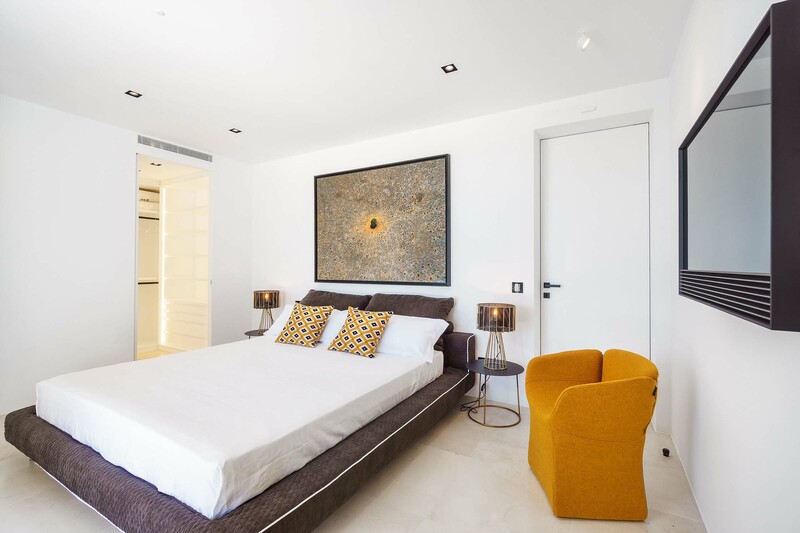 The master suite is particularly palatial, with its own private terrace and a large dressing room. 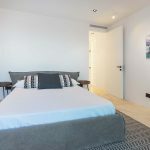 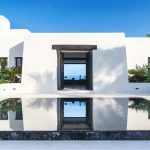 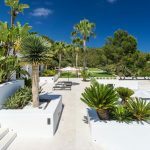 Three further bedrooms are located within the main villa, while a fifth offers more privacy and has its own separate access as well as a walk-in wardrobe. 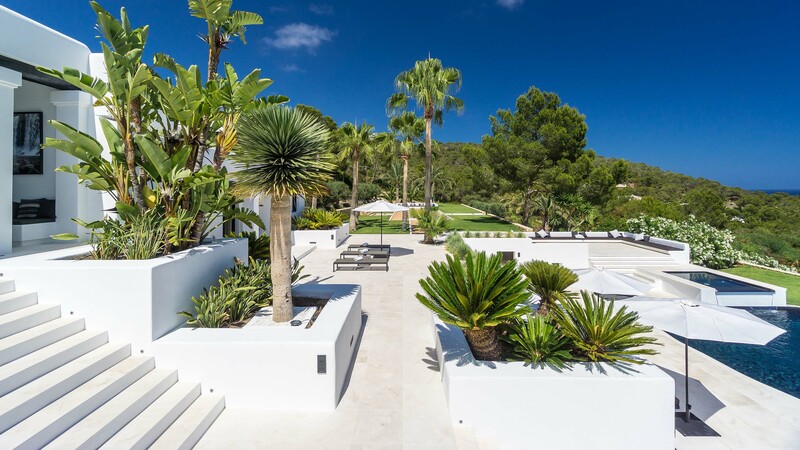 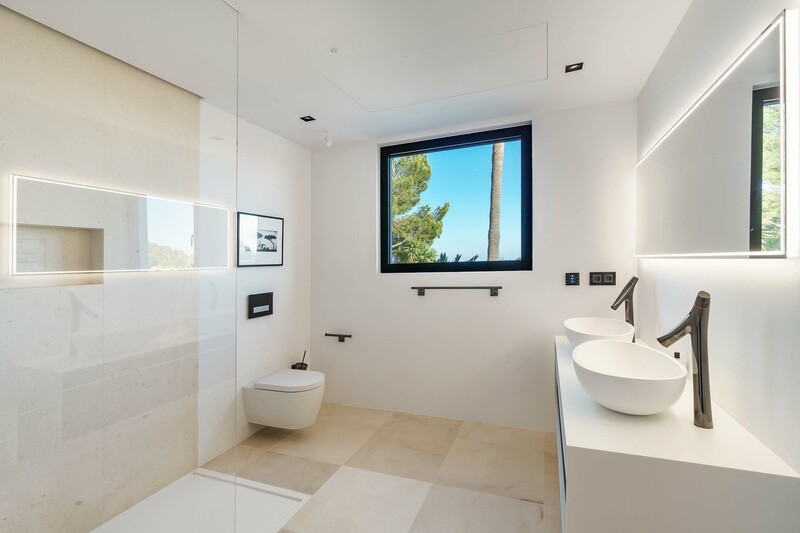 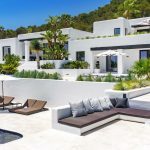 Villa Clara enjoys a stunning location that is within walking distance of the beach and many of Ibiza’s hottest amenities. 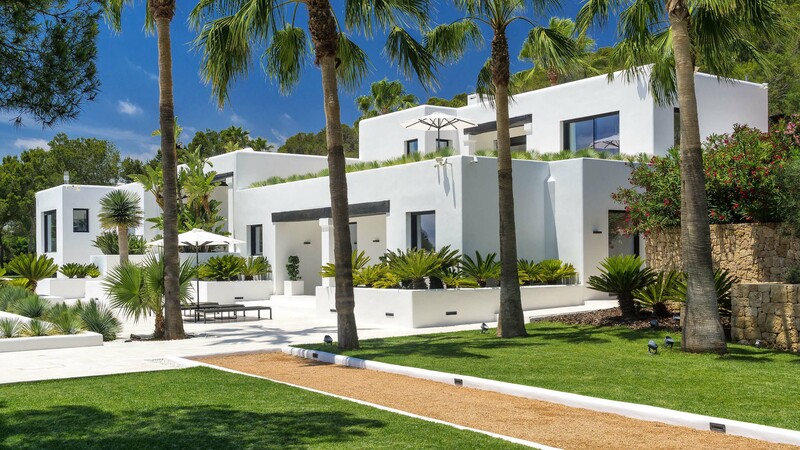 For your peace of mind, there is a comprehensive security system within the property, and Villa Clara is serviced for your convenience.